Kathryn Cissney of Mill Valley, California; Marla P. Cooper of Charleston, Illinois; Chris De Lao of Wallkill, New York; Philip DeKane of Livonia, Michigan; Ed Golick of Detroit, Michigan; David Harms of Madison, Wisconsin; Mark Richard LaRocco of Lehi, Utah; Kim Olsen of Culver City, California; Zachary Payne of Chicago, Illinois; and Glenn J. Williams of Penacook, New Hampshire. 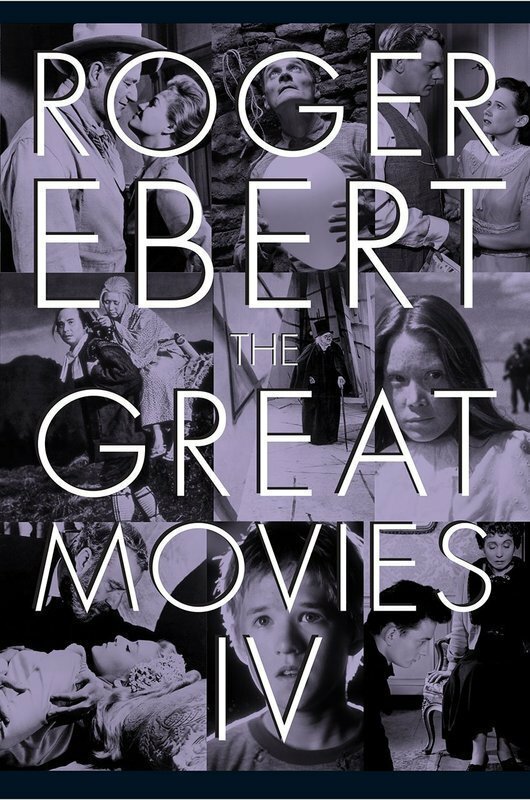 You ten have officially been selected as the winners of the recently published and last edition of Roger Ebert's Great Movies series, The Great Movies IV. This giveaway was announced last December, and was open to anyone who signed up for our free newsletter. The newsletter goes out with all of our new reviews every Friday, and a blog edition of the newsletter will be added shortly. The Great Movies IV contains Roger's acclaimed essay series exploring some of the greatest achievements in cinema. These are essays he wrote not because of duty, but because of his love of cinema, and his love of communicating with his readers about how movies affect us, whether entertaining us, or sometimes making us better people. I am so happy to be able to share this book with you and I hope you enjoy it. You should receive them in the mail this week. Please do write to tell us some of your favorite reviews. For those of you who did not win a free book, you may obtain one currently on Amazon, Barnes & Noble and the University of Chicago Press site. For your reading pleasure, however, we are making Matt Zoller Seitz's foreword to The Great Movies IV available to you in this post. However, it is being reprinted with the permission of the University of Chicago press and is not to be duplicated without further permission. It highlights several of his favorite passages in the book, while providing his case for why he believes the complete collection of Great Movies essays are, in fact, Roger's masterpiece. Of course I am in total agreement with him. What everyone longs for is not just a body of opinion focused through Roger’s keen eye, but something more basic: Roger the man. Roger the life force. Good old Roger. It is Roger’s personal touch that separates him from nearly all current film reviewers, even the good to great ones: the sense that there is a person behind the words, one who has interests beyond film, and opinions about the world at large, and wisdom gained through the experience of living 70 years, producing several dozen novels’ worth of prose and thousands of hours of TV with his onscreen partner Gene Siskel, visiting dozens of countries, and touching the lives of untold numbers of moviegoers. Most of Roger’s best pieces feel like that—like he’s just talking to you about things he finds interesting or funny or exciting, or riffing on a film he finds slipshod or dumb, or evangelizing on behalf of a work that moves him or that he believes is important or special. When you read Roger’s work, you feel as if he’s on the phone with you, or sitting across from you at a restaurant, or writing you a personal e-mail. Sometimes he’s holding court, sometimes he’s ruminating, sometimes he’s on the warpath. But you always feel that there’s a person there—a man with a consistent set of concerns and values, expressed in plain language whose lyricism reveals itself when you read it aloud or quote it to others. That personal touch is what makes Roger a great critic. A great teacher, too: the Midwestern directness becomes a linguistic Trojan horse that lulls the casual moviegoer into a comfort zone where Roger can ruminate on a movie’s place in film history, or explore why a particular scene works on the emotions, or dig into the sense of life expressed by the story, the characters, and the filmmaking. All of this explains why I consider The Great Movies series to be Roger’s masterpiece. The books are expansive but judicious in laying out which films Roger considers great and essential. In their terse, lyrical sentences you will find every quality I’ve praised here. 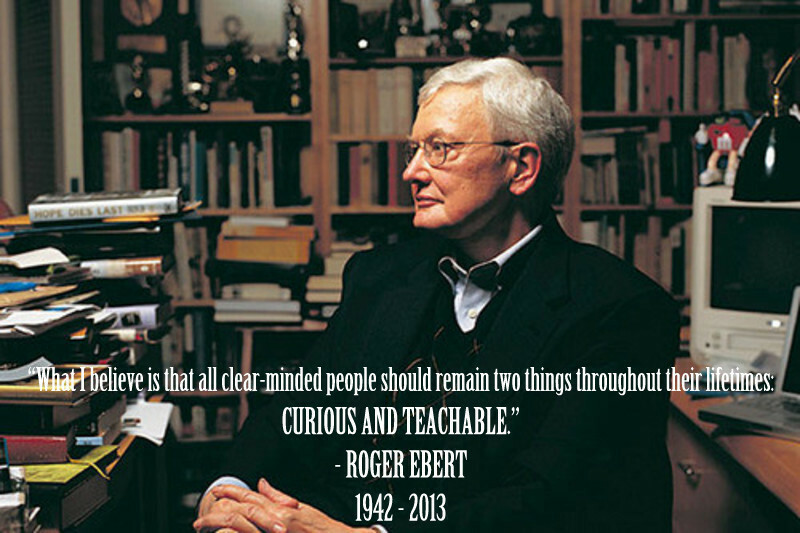 And if you read between the lines you’ll learn as much about Roger as you might watching the documentary "Life Itself" or poring over his archive of personal essays at RogerEbert.com. In their concision and complexity, the essays contained in the Great Movies books are remarkable. Many of them are original; others take portions of earlier reviews and expand on them, intensify them, revise them, question them. (You often find old Roger refuting young Roger.) They all speak to the reader as one might to a friend. They seem to be written by a critic secure in the knowledge that his audience knows who he is. The sense of familiarity emboldens Roger to cut to the chase, avoid anything resembling pretense, and speak from the heart when the spirit moves him, without fear that he will be ridiculed for freely admitting sadness, anger, or joy. The Great Movies essays function equally well as primers aimed at budding cinephiles, as insightful celebrations of works that have been picked over by generations of academics, and as lucid and insightful personal essays that are simultaneously about films, the world that films reflect, and the emotional interior of Roger. This new volume represents the concluding installment of the Great Movies series. It compiles sixty-two reviews of films stretching from the recent past back through the silent era. 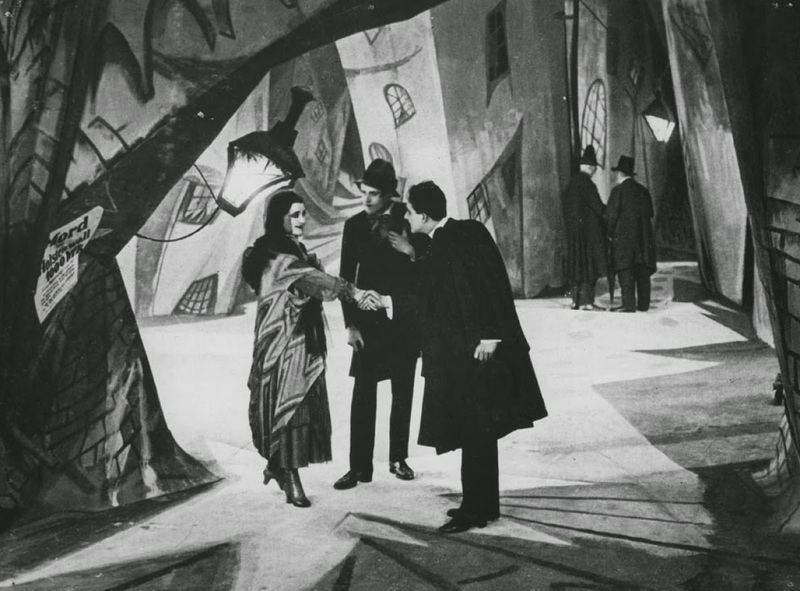 There are pieces on films that have been acclaimed as canonical for decades or more: "The Cabinet of Dr. Caligari," "Diary of a Country Priest," "In a Lonely Place," "Ivan the Terrible, Parts I & II," "Senso" and "Viridiana." And there are essays on films that have only recently begun to be considered masterpieces ("Mulholland Dr.," "Eternal Sunshine of the Spotless Mind,"
"Spirited Away," "A.I. : Artificial Intelligence") and movies that, while beloved by some, may not necessarily be works you’d instinctively call “great” ("Superman," "The Pledge," "Lost in Translation," "The Big Lebowski," "Pink Floyd: The Wall," "The Grey Zone," "Seven"). Roger the teacher is well-represented. Here he is writing about a Film History 101 touchstone, "The Cabinet of Dr. Caligari," crystallizing its essence, tying form to function so gracefully that it takes a second to register that he’s compressed what might have been several pages of a lesser text into a few sentences. Here’s a gem from Roger the teacher, about Luis Buñuel, writer and director of 1961’s "Viridiana": “Buñuel the satirist, Buñuel the anticlerical, Buñuel the fetishist. That’s the usual litany, but we should not exclude Buñuel the grandmaster of black comedy. None of his films is lacking a cheerfully sardonic view of human nature. His object is always dry humor. Even when he was working for Hollywood studios, recycling the sets and costumes of English-language pictures into Spanish versions of the same screenplays, or later simply dubbing them into Spanish, he slyly slipped in a few touches that were lacking in the sources. He is one of the great originals, creator of satirical delight, sometimes hilariously funny, and if you love great movies you sooner or later get to him.” This is Trojan horse observation, designed to lure viewers who have never seen a Buñuel film into watching this one: it emphasizes that Buñuel is funny, that you will laugh as you watch his movies, and that it’s OK to laugh. Buñuel is much more than funny, but you can see why he led with funny, because who doesn’t want to see a funny movie? Nearly every page contains a nugget like that. The tone never suggests that Roger is seeking to overrule or displace anyone else’s judgment, much less show off, only that he’s trying to connect with us—with you; he always seems to be speaking to one reader, not masses. 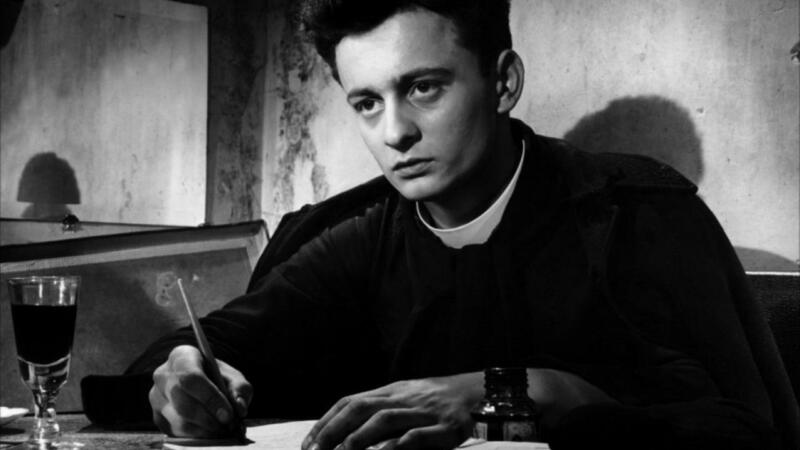 It’s not easy to write about a film like "Viridiana" or "Caligari" in a way that invites newcomers into the fold while offering enough fresh insight and elegantly turned phrases to make cinephiles want to keep reading, rather than mutter, “I already know all this!” and close the book. But Roger is a master of that sort of writing. He never simply regurgitates facts or dates or film terms or bits of received wisdom. There’s always a sense that we’re seeing the film through a fresh set of eyes, from an angle that reveals aspects we might not have noticed, much less fixated on. Again and again, Roger’s human touch enlivens pieces that might otherwise have been content to be observant, amusing, and faintly scholarly. Formal analysis, literary appreciation, observations about acting and lighting and music and sound effects are always woven throughout, but these are fused to observations about the characters, the world view of the filmmaker, and the feelings and associations that the work evokes in Roger. Roger the scholar, Roger the humanist, Roger the formalist, Roger the sneakily powerful prose stylist: all are Roger, and all are a pleasure to read. But none is more engaging than Roger the enthusiast, the guy who practically flings open the door of the coffee shop to tell you about a film that gobsmacked him and that you must must see, right now, come on, let’s go! ©2016 by The University of Chicago. Reprinted with permission. The Great Movies IV is now on sale on Amazon, Barnes & Noble and the University of Chicago Press site.